As our clients know, nothing makes a wedding, sweet 16, bat mitzvah, graduation party, or corporate event more fun than a photo booth! Guests love the retro charm of taking a #selfie the old-fashioned way. But what do you do with those photo booth strips when you get home? You don’t want to throw them away. The good news is that you don’t have to! If you received a photo strip as a favor or if you’re planning to have a photo booth at your next event, you might be wondering what to do with photo booth pictures after the event is over. Well, we’ve come up with 5 ways to use your photo booth strips so you can remember that moment for years to come. Before you know it, you’ll be booking another event just to get more photos! 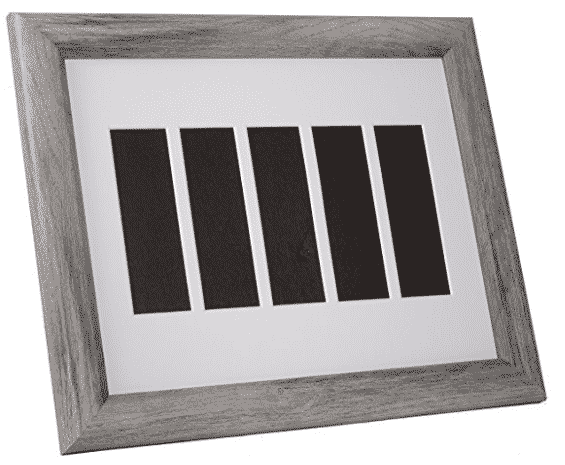 The simplest approach is to put your photo strip in a frame, but where do you find a frame to fit such a small photo? Luckily for you (and for us! ), there’s a whole industry behind photo booths. You can find photo strip frames to fit your picture exactly, no matter your decor. Brides and grooms, an affordable photo booth picture frame makes a great wedding favor! They can even double as place markers at the reception tables so everyone knows where to sit. Whether you love scrapbooking as a hobby or just love to keep a few photo albums around, you can still include your event photos. 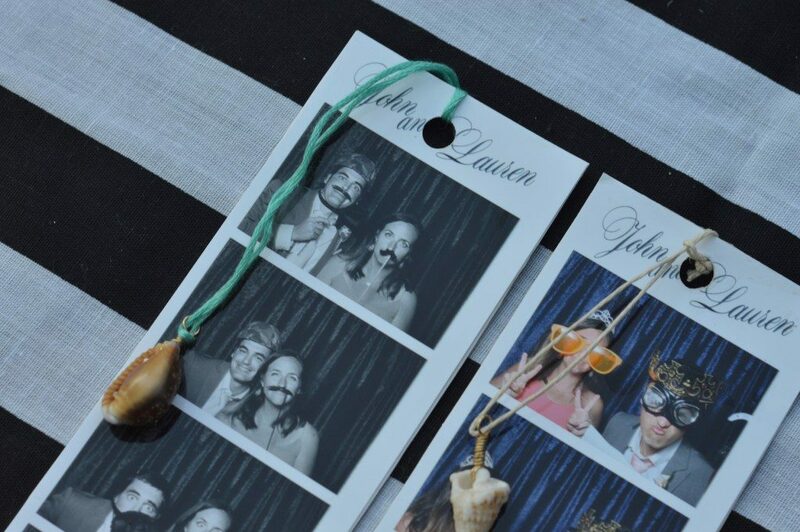 A standard photo booth strip is 2×6 inches, making them exactly half the size of a 4×6 photo. Simply snuggle two strips side-by-side and voila! Now you can add some fun memories to your existing photo album. If you love to scrap book, the unconventional size of a photo strip can make for a fun layout. Include other tokens that you might have picked up from the event and don’t forget to show the event honoree! They’ll love seeing the results! Not a scrapbooker? Not to worry! 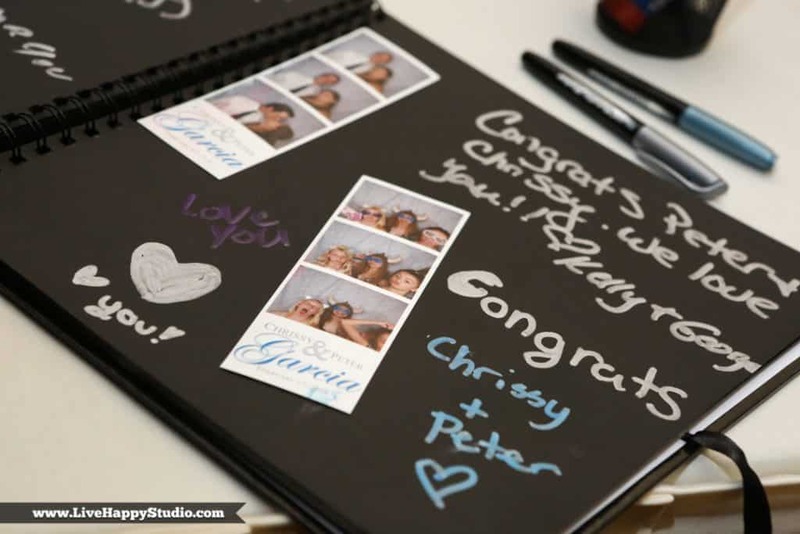 We offer photo booth scrapbook albums filled with all of the memories that your guests created at your event. Upgrade to our metal or bamboo scrapbooks for a premium look! It’s the perfect memento to look at with your spouse on date night. Photo courtesy of Lisbeth Ortega and CNET. 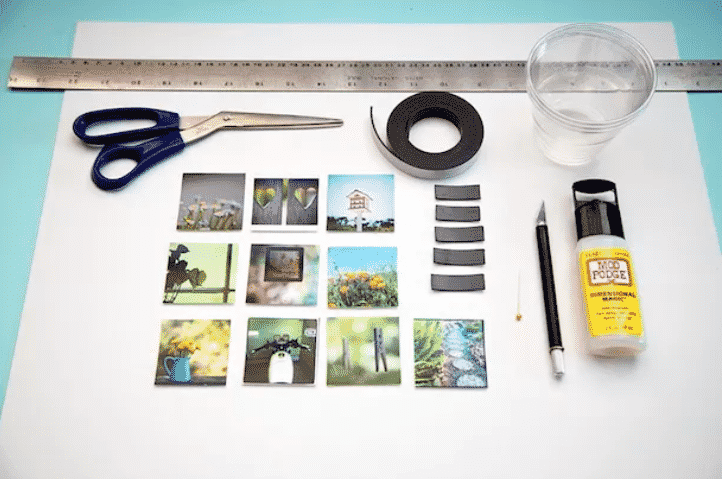 Sure, you can always just stick those photo strips on the fridge with a magnet like everyone else…or you could turn the photos into a magnet! Pick up some adhesive magnetic sheets at your local craft store and peel off the backing. Then, carefully lay down the photo strip, being careful not to leave any air bubbles. Then, trim the magnets to your desired size. You can leave them in a strip, or cut each photo out for individual magnets. That odd size that can make photo strips seem so difficult to frame makes them perfect for another use…bookmarks! Some simple self-adhesive laminating sheets can transform your photo booth pictures into a stylish and memorable bookmark. Looking for a more durable, less “DIY” option? Try these bookmark pouches. They’re the perfect size to hold a photo strip! You’d be surprised what you can do with a jar of Mod Podge and a pair of scissors. 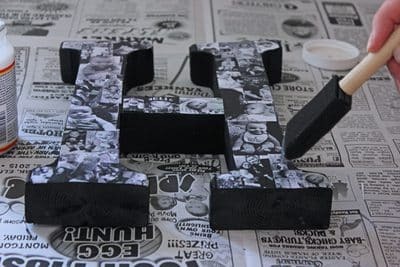 If you love to craft, you can use those photo booth pictures in endless craft projects around the house. Make them into puzzles, create a votive holder, or even decorate for the holidays! Photo booth strips are the perfect wedding favor, trade show swag, or graduation party memento, since they are literally a snapshot of a moment in your life that was worth celebrating. Treasure those moments by putting those photo strips to use, not just throwing them in a drawer. Planning an event? Contact us for availability and pricing. Your guests will never forget it!